Facebook Connect plugin for 3dcart shopping cart is a highly effective module for allowing visitors to login in 3dcart with their Facebook account. Now comes with "Share Your Purchase". Facebook Connect plugin for 3dcart shopping cart is a highly effective module for allowing visitors to login in 3dcart with their Facebook account. New visitors can create an account on your Online Store by simply logging to the Facebook Account. 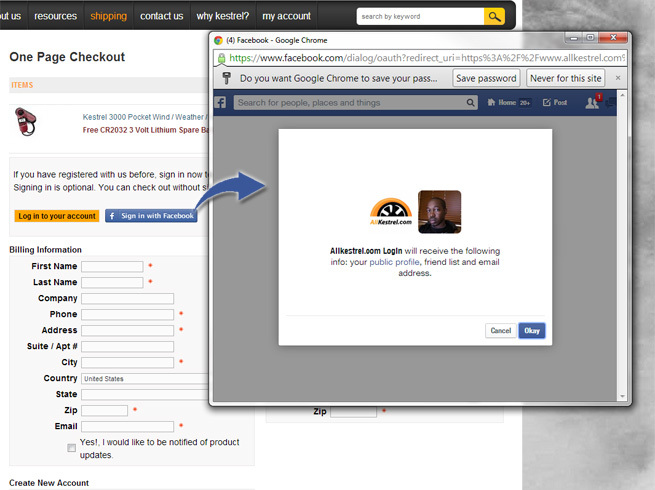 Returning Facebook customers can login to their account on your Online Store by using their Facebook Credentials. Increase conversion rates by simplifying the checkout process and allowing customers to login with the Facebook account. The Share Your Purchase feature of the FB Connect allows your customers to share the items they just purchased via Facebook and Twitter, promoting your products to their friends and followers. Q: How long does it take for this app to be activated and show up in our modules after it's been purchased? A: Please allow 3 business days for the app to be installed. This requires creating a Facebook App for your store which needs to be approved by Facebook. Once approved, our developers will install it on your site. Q: Are these one-time charges or monthly? A: This is a one-time fee. Attract more customers to your website and give them the confidence to complete their transactions online with Extended Validation (EV), the green address bar. 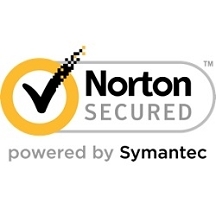 This website security solution also features the Norton Secured Seal, the most recognized trust mark on the Internet, vulnerability assessments, and website malware scanning to help you take action against critical website weaknesses.